Fiber Flux: Free Crochet Pattern...Merry Berry Coasters! 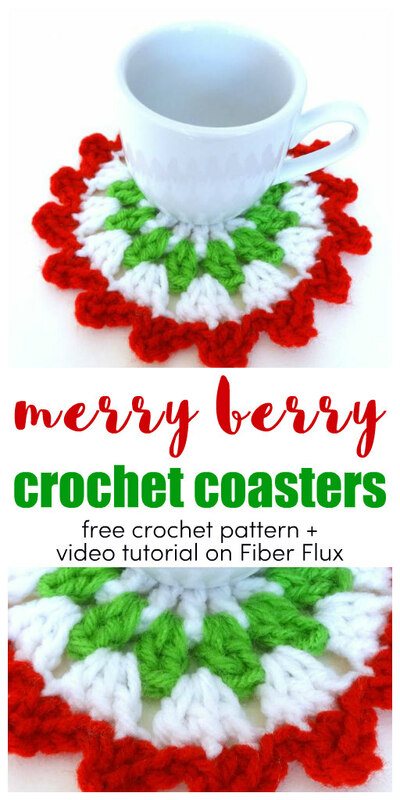 Free Crochet Pattern...Merry Berry Coasters! 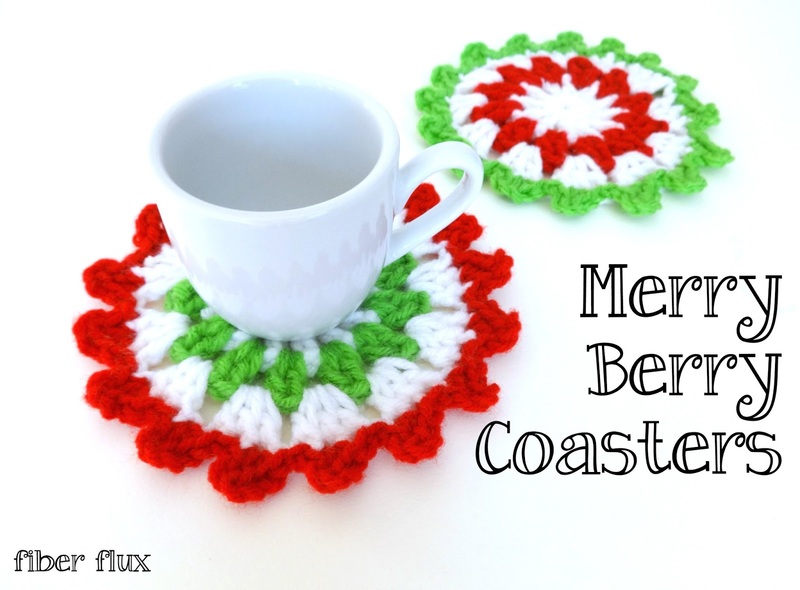 The Merry Berry Coasters are a fun, easy, and pretty way to decorate for the holidays. 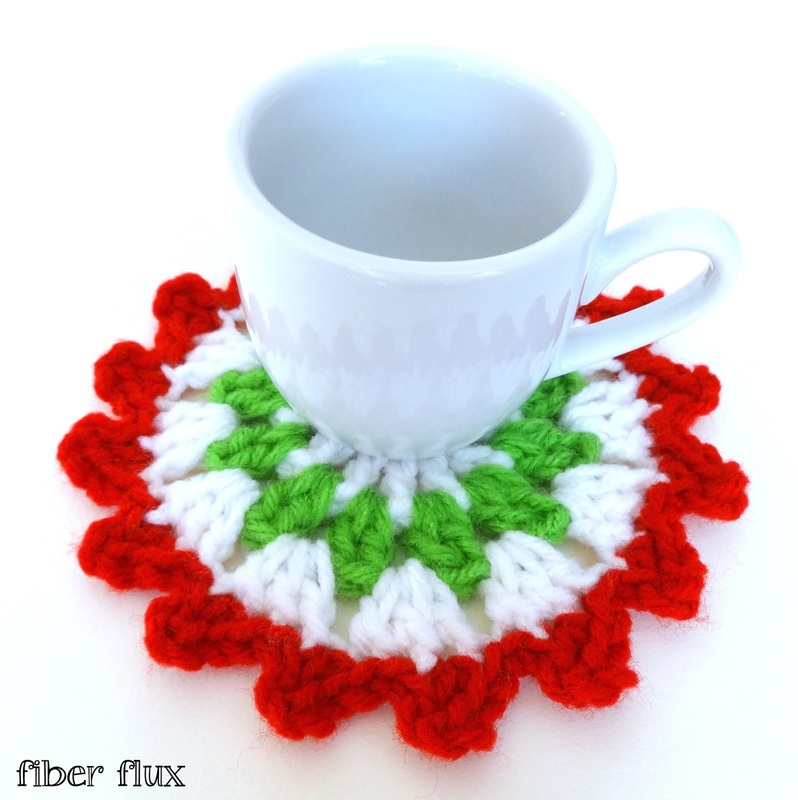 Slip one under a fabulous mug of hot chocolate or under a holiday candle. They also make great gifts! Make a set of four and tie with a pretty ribbon for an easy and thoughtful handmade gift. Round 3 (white yarn): Chain 4, then work 2 dc in the same space, then chain 1. In the next (chain 1) space, work three dc, ch 1. Keep doing this all the way around the circle…3 dc, ch1 1 in each space. 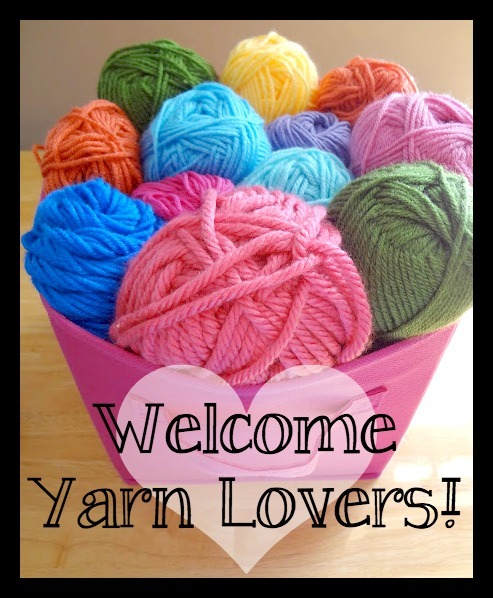 Join with a slip stitch to close round. Round 4/Edging (red or green yarn): Work a sl st into the first st, a sl st into the next st, then in the next st (sc, ch 3, sc). Repeat this sequence all the way around the circle. Fasten off. Weave in all ends and you’re finished! Why don't I see a print friendly button? Looks fairly easy will try. Thank You for pattern. I found the printer friendly print button, but when printing it is not so friendly. Wouldn't print off properly. These are so cute! Great hostess gifts, which are quick and can be personalized to match the hostess' home! Thank you so much! Your tutorial is very clear, and easy to follow.